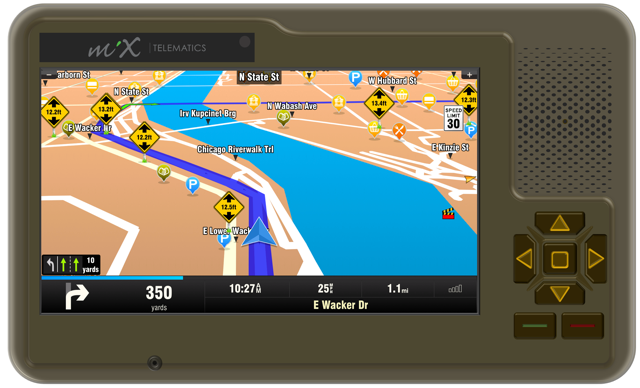 Sygic Truck Navigation is integrated with MiX Telematics’ MiX Rovi II, a rugged Android-based driver terminal. 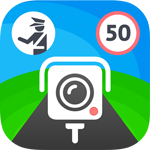 Sygic APIs were used to create geofences with speed limits, helping MiX Telematics to perform advanced speed monitoring and generate over-speeding alerts. “A reliable product and exceptional support from the Sygic Business Solutions team is the most compelling reason why we would recommend the Sygic Navigation,” says Gavin Harvett, Head of Product Management, MiX Telematics. Before the integration of the Sygic solution, MiX Telematics licensed less sophisticated navigation software from other providers. When the company launched its rugged Android-based driver terminal, MiX Rovi II, it needed a navigation partner who could complement MiX Telematics’ core fleet and safety functionality. MiX Telematics uses more than just the truck navigation from Sygic. The company benefits from a powerful SDK with over 60 easy-to-use API functions. “Sygic’s Software Development Kit (SDK) for Android was easy to work with and allowed us to innovate in areas previously not possible, such as speed monitoring based on road speed limits or custom geofence speed limits, which help our customers to monitor and improve the behaviour of their drivers,” says Catherine Lewis, Executive Vice President of Technology, MiX Telematics. Sygic offers high-quality global maps for trucks, which are stored offline to allow powerful navigation functionality even when out of cellular coverage. The maps look very sophisticated on the MiX Rovi II seven-inch colour touch screen. Thanks to Sygic, MiX Telematics is able to provide advanced speed monitoring and generate accurate over speeding alerts, while improving the behavior of the customers’ fleet drivers. “Working with Sygic means we can add best-of-breed on-board navigation and geofence capabilities to the MiX Rovi II, in addition to other functionality like Hours of Service (HOS), driver feedback and jobs and messaging,” concludes Lewis. MiX Telematics is a leading global provider of fleet and mobile asset management solutions delivered as SaaS to more than 550,000 subscribers in over 120 countries. The company's products and services provide enterprise fleets, small fleets and consumers with solutions for efficiency, safety, compliance and security. MiX Telematics was founded in 1996 and has offices in South Africa, the United Kingdom, the United States, Uganda, Brazil, Australia and the United Arab Emirates as well as a network of more than 130 fleet partners worldwide.